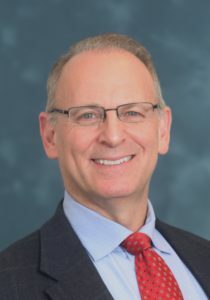 Michael Grenis, M.D. - Princeton Orthopaedic Associates, P.A. Dr. Michael Grenis is a board certified orthopedic surgeon with a subspecialty interest in hand surgery and the treatment of orthopedic trauma. Born and raised in Newburgh, N.Y., Dr. Grenis received his undergraduate education at Cornell University where he majored in biochemistry. He earned an M.D. degree at New York Medical College where he was elected to Alpha Omega Alpha, the national medical honor society. After medical school, Dr. Grenis did an internship in surgery, a residency in orthopedic surgery and a fellowship in hand surgery, all at New York University Medical Center and Bellevue Hospital in New York City. His special interest and advanced training in hand surgery encompasses the evaluation and treatment of conditions such as carpal tunnel syndrome, tendonitis, fractures and ligament injuries of the hand and wrist. Dr. Grenis has been practicing orthopedic and hand surgery in Princeton since 1990. He has hospital privileges at the University Medical Center of Princeton at Plainsboro and Capital Health System. Dr. Grenis has been named a “Top Doctor” by the Castle-Connolly Guide to Top Doctors in the New York Metro Area. Dr. Grenis has published papers in national orthopedic review journals and has presented a scientific paper at a national meeting of the American Association for Hand Surgery. He is a member of the American Academy of Orthopaedic Surgeons, the New Jersey Medical Society, and the Orthopaedic Trauma Association.